TerraTech is a rare Kickstarter and Early Access success-story in which you can design and construct vehicles and explore the large world whilst engaging in a machine-based combat set in a sandbox universe. Today the game has left the Steam Early Access program in favor of a full game as well as a console debut. The full game offers a variation of modes, including a single-player campaign, a creative mode, a PvP multiplayer mode and much, much more. The debut on Xbox One comes with exclusive tweaks, improvements and additions, including a brand-new UI and control scheme, allowing the players to enjoy construction to the fullest on a console. 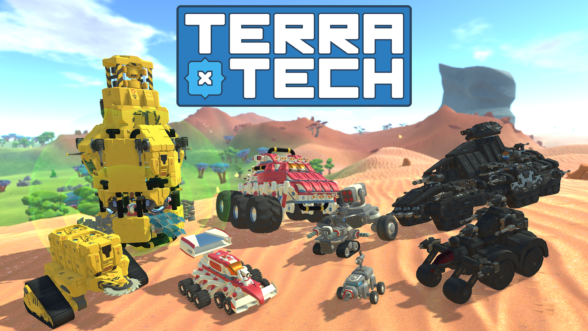 TerraTech is available right now on Xbox One via the Microsoft Store and on PC via Steam for a price of £19.99 or $24.99 or €24.99. PlayStation 4 owners will need to wait a few more days as the game will release on 14th of August and will be available via the PlayStation Store.